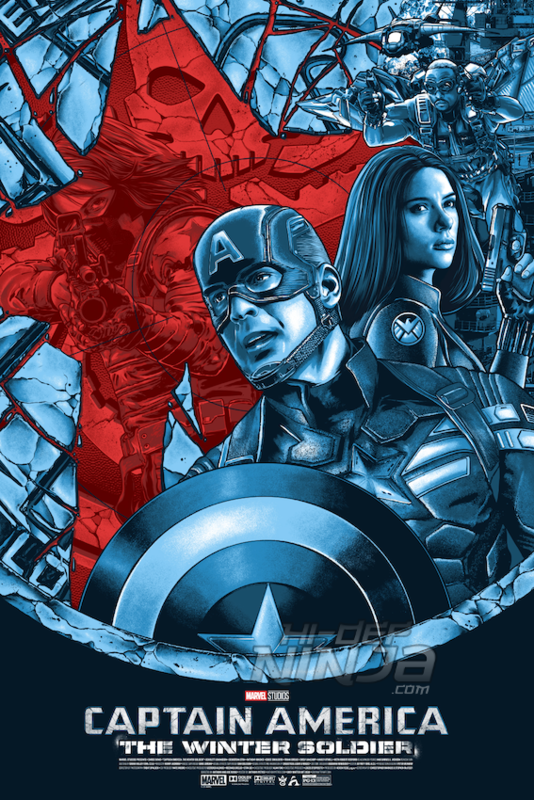 Grey Matter Art, under license from Marvel, is pleased to announce a new officially licensed, limited edition, screen-print featuring the 2014 film, “Captain America: The Winter Soldier” by artist, Anthony Petrie. This is one of our favorite movies of the Marvel Cinematic Universe and we are so thrilled to do this project with Anthony, and see him expand on his Marvel film series! Below are details regarding the poster and release information. This will be released on January 15th, 2019 at the Grey Matter Art’s website. Below are details regarding the poster and release information.